Are your kids into Science, Technology, Engineering, Art and Math? Do they love robotics? I’ve go the perfect summer camp for them: ROBOTS-4-U Summer Camps – Where Fun, Thinking & Learning comes to Life! Campers will have a BLAST, learning about Robotics and Science in an independent and exciting way while playing in a dynamic environment. 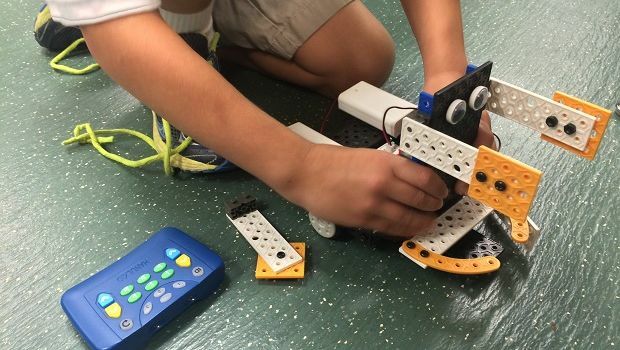 ROBOTS-4-U Summer Camps are geared toward boys and girls ages 7-14 and are offered June, July, and August. Each camp is Monday through Friday either 9:00-11:30a.m. or 12:30-3:00 p.m. Learning is hands-on, self-paced, and goes beginning to expert. Camper ratio is about 1 Instructor to 16 participants.